Canada claims two-game victory against team ranked 14th in the world. Amsterdam, Netherlands - Canada took home both wins against South Africa during their test matches at Hockey Club Athena. The first game ended 2-1 with Steph Norlander and Karli Johansen scoring for Canada and Lisa-Marie Deetlefs scoring for South Africa. Norlander scored her field goal about 30 minutes into the game. Johansen followed successfully landing a penalty stroke into the net during the first two minutes of the fourth quarter. Less than three minutes later Deetlefs scored a penalty corner for South Africa. “I think that we had a pretty decent set of games against South Africa. They played well in both games, and I think the first game gave us a feel for each other because the second game both teams were running faster and harder and the tensions were high” said Johansen. Canada started off the second game strong when Nikki Woodcraft scored a Field Goal in the first two minutes. Hannah Haughn and Brieanna Stairs both found the back of the net scoring field goals approximately seven minutes bringing the overall score up 3-0 before the first half ended. “Shanlee Johnston hit me with an awesome pass and I was able to secure the ball, turn and fire off a quick shot into the goal” said Haughn. South Africa’s Dirkie Chamberlain scored a penalty stroke two minutes into the third quarter. Holly Stewart followed Chamberlains goal approximately eight minutes later with a penalty corner goal. “We played very well in the first quarter of the second game, we really jumped right into it. South Africa played a great game, we had our work cut out for us” said Stewart. Sulette Damons scored the last goal of the match for South Africa with just over five minutes left on the clock. This concludes the two-game test series. Canada now heads off to Madrid where they will finish their European tour with three test matches against Spain, world ranked number 11. USA defeated Scotland in the second match of the Atlantic Series 3-1 to level the series and set up a grandstand winner-takes-all finale on Wednesday. The two will meet for the final time at the Glasgow National Hockey Centre on Wednesday at 12:00 with the winner claiming the silverware. It was an even and competitive opening to the contest with neither side creating any clear cut opportunities in the opening quarter. It was early in the second half that USA broke the deadlock. A searching long pass up the field found Sean Cicchi with time in the Scotland D to control the ball and slam it into the bottom corner for 1-0. It nearly went to 2-0 soon after when a ball was zipped across the Scotland goal but the diving stick of Kelvin Barber couldn’t connect and Scotland escaped. Scotland then equalised with the game’s first penalty corner. It was Tim Atkins who stepped up to strike and he sailed a drag flick low into the bottom right corner to make it 1-1. USA then re-established their lead as half time approached. A crash ball into the D was deflected home by Jonathan Orozco to put the Americans into a 2-1 lead. The opening of the second half was a mirror of the first with neither side fashioning any real opportunities. USA created the first chance in the second half and prompted a near post save by Tommy Alexander. The pressure wasn’t fully cleared however and it went to 3-1 for USA when Pat Harris deflected the resulting powerful ball into the D past Alexander for the goal. The game was set alight in the final quarter by some lovely individual skill by Lee Morton; surrounded by USA players he produced a mixture of keepie uppies and lightning stick skills to weave his way past his opponents. Then Aidan McQuade came close to pulling one back for Scotland but his penalty corner was well saved low at the right post. Some more nice play by Morton set up Gavin Byers but he couldn’t connect his shot on the turn and the USA came away with the ball. In the end USA held firm and claimed a good win to level the series at one win a piece. 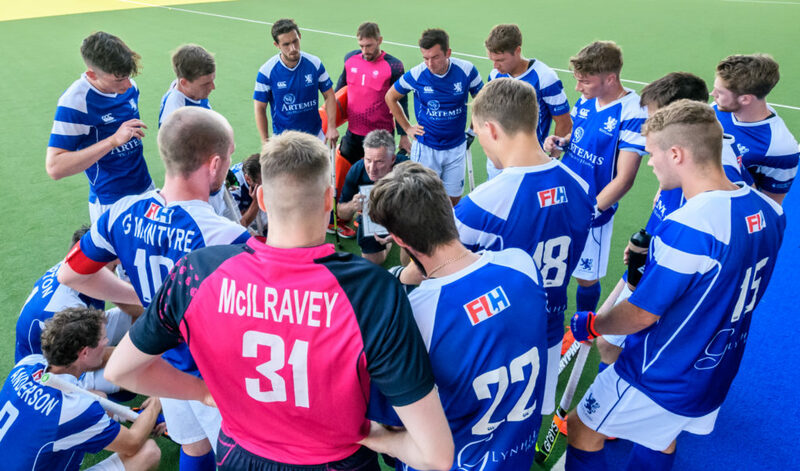 The deciding match will be played at the Glasgow National Hockey Centre on Wednesday at 12:00 with the winner lifting the Atlantic Series trophy. The Vantage Black Sticks Men have gone down 7-1 to Japan in an error-ridden performance in their second game at Ibuki Stadium on the tour of Shiga and Gifu, Japan. It was a match to forget for the Black Sticks after a spirited comeback for a 3-3 draw the previous night. Two debutantes took to the field in the opening match with, Dylan Thomas and Kieran O'Connor. Match two saw another debutante start in goal with Dominic Dixon putting on the Black Sticks shirt for the first time. Japan scored their first after only four minutes, through a penalty corner, followed by three in the second. A solitary Stephen Jenness field goal in the 21st minute for the Black Sticks, left the Kiwis trailing 4-1 at half time. There was no second half revival this time for the New Zealanders, with Japan piling on the pressure with two further goals in the 3rd quarter and a final goal in the fourth to run out worthy winners on the day. Turnovers in the midfield and the speed of the Japanese counter attack caught the Black Sticks out numerous times, with the home side clinical in front of goal. That and a sub-par performance in terms of general skill level left head coach Darren Smith ruing the result. "That was a tough day at the office. Our level of performance was way down on our usual standards and we could not have played more into Japan's hands", said Smith. "We gave the ball up easily in the midfield allowing Japan to break at speed, causing our deep defence problems, and we weren't able to contain them. There will need to be a much better reaction in the third game in Gifu." The Vantage Black Sticks now move to Gifu and will play Japan again on Wednesday night, at 10pm NZ time. 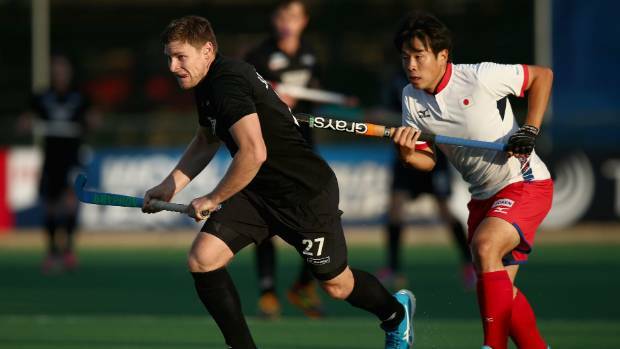 New Zealand have had a shocker in their second men's hockey international against Japan in Shiga. Having drawn the opening international 3-3, the Black Sticks were belted 7-1 in an error-ridden performance. Attacker Stephen Jenness scored New Zealand's only goal in the 21st minute. Japan, at 16th, ranked seven places lower than the Black Sticks, led 4-1 at halftime. There was no second half revival with Japan piling on two more goals in the third quarter and one in the fourth in a thoroughly comprehensive win. ''That was a tough day at the office. Our level of performance was way down on our usual standards and we could not have played more into Japan's hands,'' Smith said. ''We gave the ball up easily in the midfield allowing Japan to break at speed, causing our deep defence problems, and we weren't able to contain them. New Zealand's next match is in Gifu on Wednesday night. The tour is part of a trip which also takes in several internationals in India, which will be preparation for the World Cup at the end of this year. 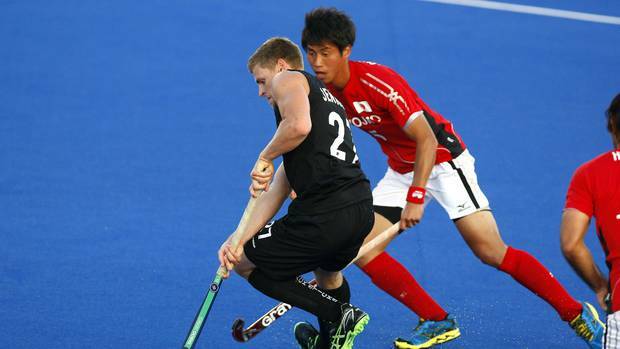 The Black Sticks men's hockey team were thrashed 7-1 by Japan - one of their biggest deficits in recent years. It was an error-ridden performance in the second game of the series in Shiga on Monday (NZ time) after a respectable 3-3 draw on Sunday night. Japan scored their first goal after only four minutes, through a penalty corner, followed by three in the second, past debutante Dominic Dixon in goal. A solitary Stephen Jenness field goal in the 21st minute left the Kiwis trailing 4-1 at half time. Second test result: Black Sticks 1 Japan 7. HT: 1-4. 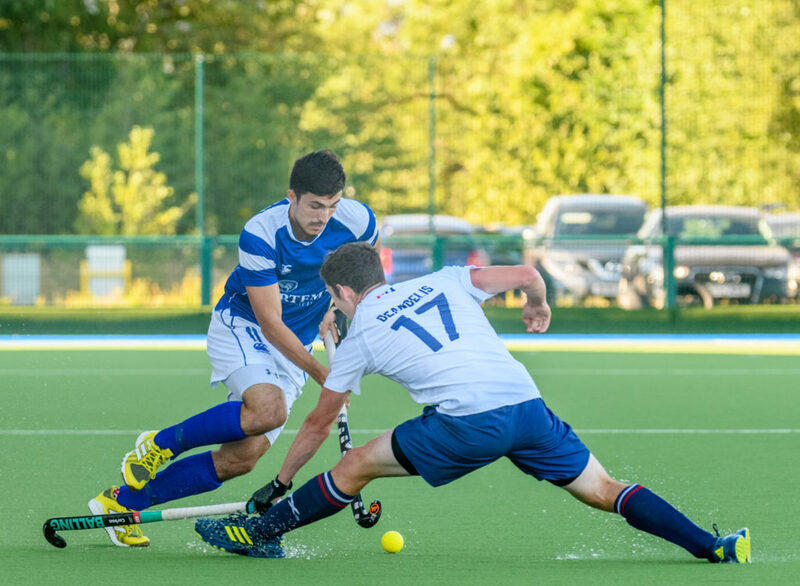 Belarus lived up to their billing as the highest ranked team (World Ranking: 20) in the competition as they took first place at the Hockey Series Open event in Wattignies, France, and booked their place at the Hockey Series Final in 2019. Herman Kruis’s team made it three wins from three to take maximum points at the third women’s Hockey Open Series of this inaugural season. Russia (WR:25) finished in second place and will join Belarus in the Hockey Series Finals, as will the host nation, France (WR: 31) who were beaten into third place. Austria (WR:32), who finished in fourth place after losing all three matches, will rue missing out on this opportunity to earn a place at the qualifying events for the 2020 Tokyo Olympics. The opening half of the first match between Belarus and France would have given the host nation plenty to cheer about as the lower ranked team matched Belarus blow for blow. However, Kruis’s team ramped up the pressure in the second half and were rewarded with a penalty stroke in the 39th minute. Yulia Mikheichyk duly slotted the ball home to open the scoring. The goals that settled the match didn’t materialise until the 58th minute as France dug deep and defended well. Eventually, however, Belarus’s experience paid off as Krestina Papkova, Mikheichyk and Sviatlana Bahushevich all found their way onto the score board. In complete contrast, Russia’s opening match against Austria saw all the goals come in the first half of the game. Bogdana Sadovaia opened the scoring in the fourth minute with a rasping penalty corner. Svetlana Eroshina followed up with a well-taken goal from open play before Sadovaia and Kristina Shumilina wrapped things up with two more goals. The closest match of the competition was the final game between France and Russia. The two teams were locked at 1-1 until the final 20 minutes of action. It then went to 2-2 until Sadovaia and Shumilina both popped up on the score-sheet again to give their team their second win of the competition. Unsurprisingly, Russia’s hot-shot Bogdana Sadovaia was the event’s top scorer with five goals. Belarus’s Sviatlana Bahushevich, Yulia Mikheichyk and Elena Sazhina were all in second place on three goals apiece. The event in Wattignies was a continuation of the Hockey Series Open, with other events in the Series taking place across the world over the coming weeks. The next Hockey Series Open takes place in Vilnius, Lithuania, from 21-26 August. This stage of the FIH's new Hockey Series is the first step towards Olympic qualification for participating teams. When you’re playing really well, you don’t know what else is going on around you. If I think back to my best performances, I couldn’t tell you what was going on, but I could tell you what the ball was doing or how the save was made. If I’m playing badly, I could tell you everything in a given picture. It means I have been over-thinking. Goalkeeping is all about that narrow focus in doing your role well and being able to zone out everything else. In a warm-up, what I think about is if someone was watching me in my pads, how would I look around the D and what would I be thinking? I have a bit of a swagger when I’m in my pads and when I’m on it, I think I’m six foot tall and own the joint. If my shoulders are back and there’s no tension and a smile on my face, I know I’m going to be okay. The more I can get to that point, the more I will be able to deliver results and get picked. It’s the goalkeepers who are sometimes there or nearly there, that are going to struggle. Penalty strokes have never been my forte. When the shoot out rule came in I thought ‘yes, this is where I’m going to make a name for myself’. You have to go in there, enjoy it and love it. If you go in with fear, then you are already going to struggle. I look forward to those occasions. When you go into tournaments you have to be in a mindset where you’re not thinking about anything. I have also learnt to follow the ball and shut out everything else. In training, my coach will use a lacrosse stick and hurtle balls at me at around 100mph. At the start of last year I wouldn’t have been picking those, not even close. It has really come on as I have discovered trying to imagine a little black dot on the ball and follow it all the way to your glove. You aim to zone in: your eyes and head move to the ball with the outcome for it to be a comfortable save. Top goalkeepers make things look dead easy, never dramatic and that’s what I’m aiming to do. Now, when my form drops I just find that little dot and follow it the whole way into the gloves. I coach it to kids and it’s one of the best bits of advice I have been given. It’s so simple. Ace dragflicker Rupinder Pal Singh and striker Akashdeep Singh on Monday returned to India's 18-member men's hockey squad for next month's Asian Games in Indonesia, where the country would be defending its gold medal. The team for the 18th Asian Games, to be held in Jakarta and Palembang from August 18 to September 2, was announced by Hockey India on Monday and featured just two changes from the Champions Trophy squad that won a second consecutive silver medal in Breda, Netherlands recently. While Rupinder, who was rested from the Champions Trophy squad, returned to the side in place of Jarmanpreet Singh, Akashdeep replaced an injured Ramandeep Singh. The rest of the squad, to be led by veteran goalkeeper PR Sreejesh, is the same that took part in the final edition of the Champions Trophy. Chinglensana Singh has been retained as the vice captain and he will be joined by the experienced Sardar Singh, Manpreet Singh, Simranjeet Singh and Vivek Sagar Prasad in the mid-field. India's forward-line has just one change in Akashdeep replacing Ramandeep, who suffered a right knee injury in the Champions Trophy. Besides Akashdeep, SV Sunil, Mandeep Singh, Lalit Kumar Upadhyay and Dilpreet Singh are the other strikers in the Asian Games-bound squad. The team's defence will be strengthened by the return of experienced dragflicker Rupinder along side Harmanpreet Singh, Varun Kumar, Amit Rohidas, Surender Kumar and Birendra Lakra. 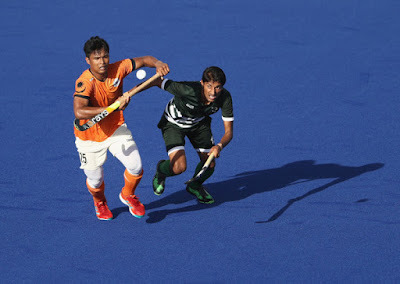 India defeated Pakistan in the final at the 2014 edition in Incheon, Korea to win the gold and will be eager to repeat the feat to book an automatic berth in the 2020 Tokyo Olympics. To me, Indian men's national hockey team has only one target in the busy 2018: retain gold status at the Asian Games and thus book direct ticket for the Tokyo Olympics. Solid show in Breda is a bonus but wont be a substitute for what is required at Jakarata in two months' time. The Champions Trophy success will have a meaning in retrospective sense only with obtaining top honours in the coming Asian Games. World Cup waiting in Bhubneswar is a showpiece event. Whether India will do well or not will not merit as much debate as that of Jakarta. The Jakarta team has been released the other day. This is the best combination, no doubt on that. I have long been holding a view that Sardar Singh's presence is sine qua non for any Asian Challenge. He is a master motivator, his experience and changing roles as per the demands of the game is something that the Indian teams cannot do away with. Indians are top ranked in the Asian circuit. this will work in their favour. Its a happy augury for India that every other team in Asia tries to match it. Having acknowledged this status of India, the point that needs to remember is the difference between India and the rest in Asia. Every challenger to India has shown vast improvement in the recent times. It needs no further elaboration. What strikes further is how the recent continental contest went into the recess of history. India may the holders of all three top notch Asia titles: Asia Cup, Asian Champions Trophy and Asian Games. The scoreline of semifinals and finals of latest edition of these these events show how close these have been. India even won the last Asian Games on shoot - out, which could have gone either way on any other day. Therefore, it is important for India not to be complacent. Its wise to read the Breda results with restraint. With respect to the team that has been selected, return of Rupinder Pal Singh lends solidity to the defence but whether it also adds to the goal scoring abilities of the team is a moot question. Rupinder Pal Singh of late finds wanting in penalty corner drills. With Harmanpreet Singh and Varun Kumar being adept at the same art, PC department for India is safe. Birendra Lakra underperform, but there is Surender Kumar who is outstanding at present. Amit Rohidoss perhaps gets his slot as all rounder rather than as defender. One can lament on leaving out Kothajit Singh, but the question is that who you will drop to accommodate him? I don't discuss here anything on goalie and captain PR Sreejesh simply because everything concerning him is settled, needs no reiteration. He is simply superb. India has liberty to try out youngsters in the midfield what with Manpreet Singh, Sardar Singh and Chinglensana are settled trio here. Young Simranjeet Singh is lucky to have been selected but none can leave out Vivek Sagar Prasad. He is again an impact making, exciting and gifted player. His rise is worth. While I express immense satisfaction upto this, the doubts cloud when the question of forwardline is looked at. SV Sunil is extremely good, and an asset especially at wings. Everyone expect him in the forwardline is a suspect. Mandeep Singh and Akashdeep Singh have got enough experience with them to bulldoze any defence, but are not reliable. Despite vast experience and international exposure, they have the habit of scoring one or two spectacle goals in 4,5 tournament which hog video limelights in this era of social media. This have given the duo a sense of great scorers but it has often been found that they are much wanting in high voltage matches. The duo may even be described as Coach Eaters, as their failure upfront led to some poor results which cost career of coaches, starting from Michael Nobbs. Dilpreet is young, and much like Vivek, made his international debut at senior level this year. He is an unselfish forward akin to Sunil. He as of now has no fancy for fabulous scoring acts! Indian forwards can click in the knock out state only if Mandeep Singh and Akashdeep Singh play a controlled game, give up excitements, stop fancy for spectacular goals at the cost of missing sitters. Trapping long balls inside or on the periphery of circle, eye on long crosses which could have been ideal situations for deflections, unnecessary turning of body before effecting shots at goals are the grey areas of the duo. There are at least half dozen forwards in the core-group as good as Akashdeep Singh if not better. His scoring abilities don't commensurate with the kind of exposure he has got till now. Now that he has been selected, and the coaches have reposed faith in him, he should focus on delivering at Jakarata in crucial matches. By and large, this is the best possible combination despite some reservation on the composition of the forwardline. COLORADO SPRINGS, Colo. – Following impressive senior college seasons, topped with exceptional play with the U.S. Women’s National Development Squad against Chile in May and Young Women’s National Championship in June, U.S. Women’s National Team Head Coach Janneke Schopman and coaching staff have moved Danielle Grega (Kingston, Pa.) and Casey Umstead (Green Lane, Pa.) up to the senior squad effective August 27. “Casey and Danielle have shown glimpses of the potential they can have as a USWNT player in the Development Team and I am excited to see them start the journey with the team,” added Schopman. A native of Kingston, Pa., Grega grew up in the hotbed of hockey where she attended Wyoming Valley West High School. She played for the club team KaPow and PA Elite before continuing her career collegiately at Old Dominion University. A standout Monarch, Grega received honors such as All-Big East First Team (x2), All-Big East Tournament Team, and National Field Hockey Coaches Association (NFHCA) All-South Region First and Second Team. She also excelled in the classroom earning NFHCA National Academic Squad (x3), NFHCA Scholar of Distinction (x2), CoSIDA Academic All-District, Conference-USA Commissioner’s Honor Roll and Medal of the Year awards. Grega is no stranger to the women’s Olympic Development Pipeline having been win the program for eight years. A part of the Futures Program since 2010, she competed at the National Futures Championship and Young Women’s National Championship (x4). In 2014, she was named to the U.S. U-19 Women’s National Team following a tryout at Junior National Camp (JNC). With this squad she went on tour to Belgium. One year later through JNC, she was named to the U.S. U-21 Women’s National Team and went on tour to England for a four-game test series. In June 2017, she was named to the U.S. Women’s National Development Squad and participated this past May in a test series in Chile. Similar to Grega, Umstead also grew up in the mecca of the sport in Green Lane, Pa. and played for Upper Perkiomen High School and the club team X-Calibur. She then played collegiately at the University of Connecticut, where she helped lead the Huskies to four Big East Championships (2014-2017) and two Division I National Championships (2014, 2017). A workhorse on the defensive end, Umstead received honors such as All-Big East Second Team and First Team (x2), All-Big East Tournament Team (x3), and All-Mideast Region Second and First Team (x2). In 2016, she was also named Third Team All-American. In 2017, she was named to the NCAA Tournament Team, First Team All-American and Big East Defensive Player of the Year. She was part of the most successful class in program history with an 87-6 record. Umstead has a healthy resume with USA Field Hockey as well. On top of being selected for various National Futures Championships (x2), Futures Elite Championships (x2), Junior National Camps (x7), AAU Junior Olympic Games (x2), Junior Women’s National Championship and Young Women’s National Championships (x4), she was a member of the Junior U.S. Women’s National Indoor Team in 2012, U.S. U-17 Women’s National Team in 2013, U.S. U-19 Women’s National Team in 2014 and U.S. U-21 Women’s National Team in 2017. In June 2017, she was named to the U.S. Women’s National Development Squad and made the trip to Santiago, Chile for the four-game series. Eighteen of Australia’s brightest hockey prospects have today been named on the Youth Olympic Games (YOG) Team to be plauyefor Buenos Aires 2018. Australia will field a men’s and women’s team for the 5-a-side modified game to be coached by Ben Bishop (men's) and Tim White (women's), having qualified through Oceania in Port Moresby in April. Hockey Australia High Performance Director Toni Cumpston said: "We are delighted with the opportunity to send both men and women to the Youth Olympics and greatly appreciate the support of the Australian Olympic Commitree to enable this to happen. "It is a wonderful opportunity to expose future Hockeyroo and Kookaburra athletes as well as HP staff to a multi sport environment and the team’s look forward to being part of the wider Australian Youth Olympic Team." The men head into the Games as the two-time defending Youth Olympic Champions. Australia won gold at the Nanjing 2014 YOG after a nail-biting final against Canada where they took the victory on a 3-1 penalty shootout after the score was equalised 3-3 at full-time. This followed a 2-1 victory over Pakistan for the gold medal at the inaugural YOG at Singapore 2010. However, with most athletes in the 2018 team having more than 10 years’ experience in the sport, and with a number of Under-18 national champions in the mix, they’re ready to defend their title. “The team going to Buenos Aires is out to defend two previous gold medals, so there is plenty of expectation to do well,” 18-year-old Brad Marais said. “Playing Hockey 5s will be a new experience for most of the players, but I have no doubt that it will be an incredible learning experience for everyone involved. While members of the boys’ team hail from Victoria, New South Wales and Western Australia, there will be some familiarity for Melbournian Brad, who has been named on the team alongside his younger brother Craig. The South African-born brothers started playing Hockey after they moved to Australia in 2008 and say they’ve been fortunate to share the journey to Buenos Aires together. “The Youth Olympic Games became a goal for me after I competed at the Under-21 Nationals tournament in 2017. After that tournament I set my sights on travelling to Argentina with the YOG team and that became my main hockey goal for 2018,” Brad said. “Once I heard about the Youth Olympics in 2014 I always thought it would be awesome to go but never really thought I had a chance,” 16-year-old Craig said. “Once the trial squad was announced I was stoked to just be included and was determined to make the most of the opportunity. "The weekend after trials, other athletes started to get calls so I decided to not lose sight of my phone. When Ben Bishop told me I was in I couldn’t control my excitement but I had to because Brad was the next person to be called meaning I had to wait for his outcome. Australia will field a women’s Hockey 5s team for the first time at Buenos Aires. With each National Olympic Committee only able to select one male and one female team for team sports at the Games, Aussie women have previously been represented in Handball (Singapore 2010) and Rugby Sevens (Nanjing 2014). Morgan Mathison, 17, is the only selected Hockey player from Queensland and is excited to play alongside many of the athletes she’s often opposed. “When you’re so used to competing against someone, its super exciting to come together and compete with them,” Mathison said. “It’s really exciting to play with them because you get to see the range of talent that there is across the country and you learn so many new things from watching and talking to them. “There is so much talent in Australia for this age group and I knew that it would be a really tough team to make. Australia is expected to take around 95 athletes to the third edition of the Youth Olympic Games in the Argentinian capital in October. KUALA LUMPUR: National women's hockey coach K. Dharmaraj did not discount the inclusion of 14-year-old Kirandeep Kaur for the Australian Tour starting on July 21 as their final preparation for the Asian Games in Jakarta. Dharma said budding players like Kirandeep would inject competition in the team, and send out a warning that 'no player can take their place for granted' in the national team. The coach had fielded her in every match at the recent Hockey Series Open in Singapore, and she scored her maiden international goal in the final to help Malaysia beat Thailand 6-0. "I do not want any players to feel comfortable with their spot in the national team. "That is why I have added healthy competition by fielding Kirandeep and other young players in the squad. The message here is that players must continuously give their best in every match to keep their spot in the team. And so, the door is open for Kirandeep to be selected for the Queensland friendlies," said Dharmaraj. And the Tour would be the final platform for Dharmaraj to select 18 players for the Asian Games in August, and this chance can also be snatched by Kirandeep. The other youth who impressed in Singapore are 17-year-olds Nuramirah Zulkifli and Nurmaizatulhanim Syafi. friendlies have a fair chance of making it to Jakarta," said Dharmaraj. KUALA LUMPUR: The disappearance of national defender Najmi Jazlan is not only a mystery to his fans, but it also left his team-mates with more questions than answers. It was made to understand that Najmi only communicated with coach Stephen van Huzien, while even his best mates in the team were not privy to the disappearance. National skipper Shukri Mutalib said he believes Najmi has already sent a letter to the Malaysian Hockey Confederation (MHC) stating that he no longer wants to play for the country. He last played in the Gold Coast Commonwealth Games, and was also on the Argentina Tour for six Test matches in May. "As a team-mate I am disappointed with his decision to quit the sport becasue we are in the midst of preparing for the Asian Games in Jakarta. "And he is one of the main players in our team. "But then, if he really is no longer interested to play for the country, I will respect his decision," said Shukri. The skipper said he himself could not get in touch with Najmi after the Hari Raya break. "I really don't know what's the real reason behind his action. Not only I, but all the other players are also puzzled as they can't contact him anymore," said Shukri. The players are in their final phase of training for the Asian Games in August, with a mission to win gold and qualify for the 2020 Tokyo Olympics. Najmi has already sent a letter to the Malaysian Hockey Confederation (MHC) stating that he no longer wants to play for the country. "After the Argentina Tour, he injured his ankle slightly but that is not the reason why he quit the team. "Najmi just does not want to play for the country after he got married and even though we tried to talk to him he did not want to change his mind. "The matter has been discussed with the MHC as well as technical director Terry Walsh and it was agreed that if he is no longer interested we can't do anything. "We did ask him if it was temporary or for good, but he did not want to commit himself. "Luckily it happened about 40 days before the Games, and we have time to train a replacement," said van Huizen. KUALA LUMPUR: The national women's hockey team will receive specific help from foreign coaches in preparations for the Asian Games in Jakarta in August. Australian David Ian Bell will coach on 'tackling' while Martijn Drijver of the Netherlands will train goalkeepers for a week. And while national coach K. Dharmaraj said it would benefit his charges, Olympian and former Malaysian Hockey Confederation general manager Maninderjit Singh believes there are Malaysian's who can do the job just as well. "My players do lack in the field of tackling (stopping a player from dribbling past) and it would be helpful in our campaign at the Asian Games when we play higher ranked teams like India, South Korea, Japan and China (depending on grouping). "I have tried my best and even though they have improved in this department since I took over 30 months ago, having a new prespective from a different coach and approach is always welcome in my books," said Dharmaraj whose charges won the Hockey Series Open in Singapore by hammering Thailand 6-0. And on the world renowned goalkeepers coach from Netherlands: "He has been here many times and coached out national men as well as women's goalkeepers and is here again to help in our Asian Games campaign. "Some areas need a specific touch from the experts in that field, and we are lucky to get such help," said Dharmaraj. However, Maninderjit Singh begs to differ. "The main weaknesses in the men and women's team is in defence and bringing in David Bell as a consultant in that department is not conducive, because his training methods are old and not suitable with Malaysia's playing style. "It is a waste of time and money as we do have better local coaches and they should have been utilised instead," said Maninderjit. Malaysia's chances at the Games all depend on the grouping, which the Asian Hockey Federation have yet to release. In the men's tournament, the qualifiers are hosts Indonesia, India, Pakistan, South Korea, Malaysia, China, Japan, Oman, Bangladesh, Sri Lanka, Thailand and Taiwan. There are only 10 teams in the women's event and they are hosts Indonesia, South Korea, China, India, Japan, Malaysia, Thailand, Hong Kong, Taiwan and Kazakhstan. Islamabad - Pakistan hockey team manager and legend Hassan Sardar urged the Caretaker Prime Minister to immediately release sufficient funds to the federation, as it will help the PHF pay well to the players, who, in return, will win glories for the country. Talking to The Nation, Sardar said: “People don’t even know the ABC of hockey but they pose themselves as champions. The matter of the fact is that Pakistan hockey is presently lying at No 13 in the FIH rankings and top 5 teams of the world were involved in the Champions Trophy, where we finished last but one must appreciate the players and PHF efforts that despite several problems being faced by the federation, it has decided to accept the wildcard and sent the team to Netherlands to take part in the mega event. “The federation could have refused to accept wildcard, but they accepted it bravely and as test case. I personally feel, the green shirts didn’t perform badly at all but in fact, they played exceptionally against all the top opponents. We managed to beat Olympic champions Argentina and played out draw against Belgium and only lost in extra time,” he added. Hassan said when he took over as manager, there were a great number of problems being faced by management as well as players. “The main problem was players’ attitude, performance but gradually with hard work, everything is improving and going in right direction. Another major problem is shortage of finances, as without finances, we can’t train our players and also can’t send them abroad for international events. “Our main task is giving best performance in the Asian Games to be held next month. The boys are capable of beating any given team while we are ready to give India real run for their money in the Asian Games and then in the World Cup, to be held in India,” he added. He said that being former hockey player and Olympian, he knows things better than others. “I personally request President and Prime Minister of Pakistan to release grant for the PHF, so that we may clear players’ dailies, as it is sending bad message to not only national team, but also to entire world. I can guarantee these players will perform to the best of their abilities and will bring back smiles on the masses’ faces, if they will be given due honour and respect. “The federation under the leadership of president Brig (R) Khalid Sajjad Khokhar and secretary Olympian Shahbaz Senior have taken drastic steps and we all are onboard just because we believe in their steps and they are highly sincere with national game. It takes time to get desired results. In the last two decades, national game was badly ignored and there was constant decline in our international rankings. Now after playing against top 5 in the world, we have improved our game and soon our rankings will also be much better. “I once again request President, PM and IPC Minister to look into the matter of financial grant and order to release sufficient funds so that we may continue our plans to bring Pakistan hockey to new heights,” Hassan concluded.